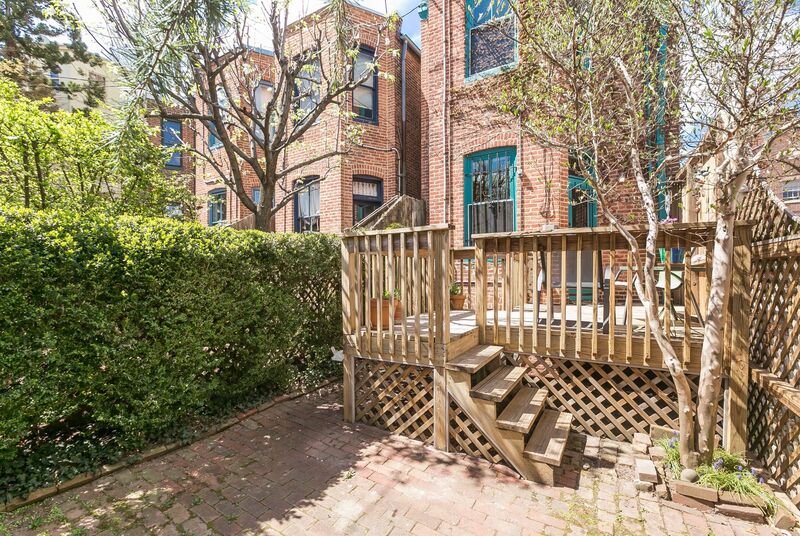 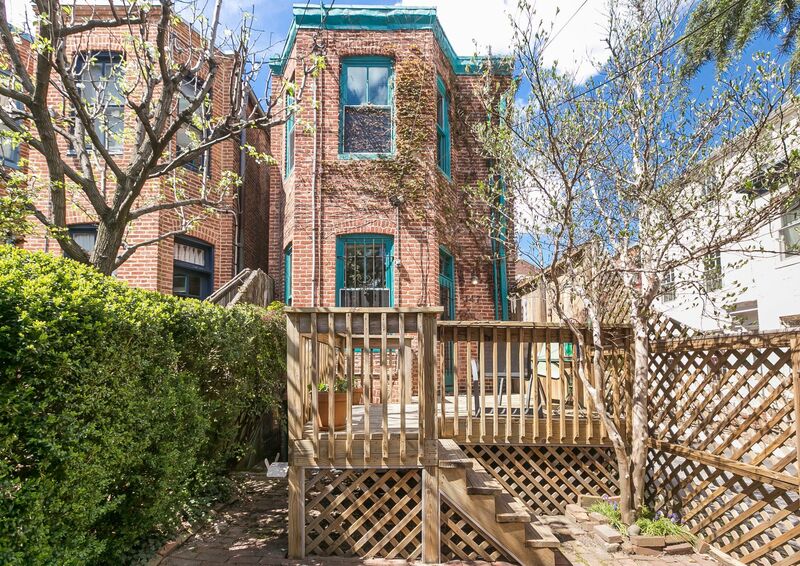 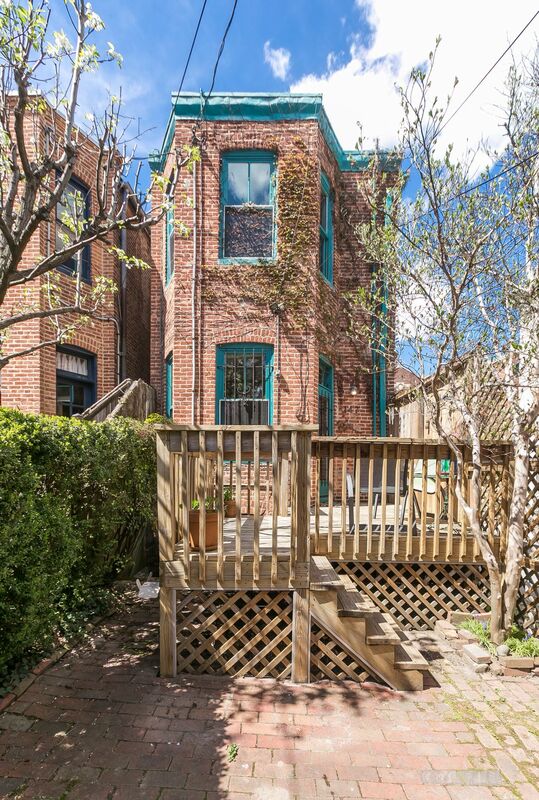 Bolton Hill Bowfront Townhouse on a sweet block of handsome homes. 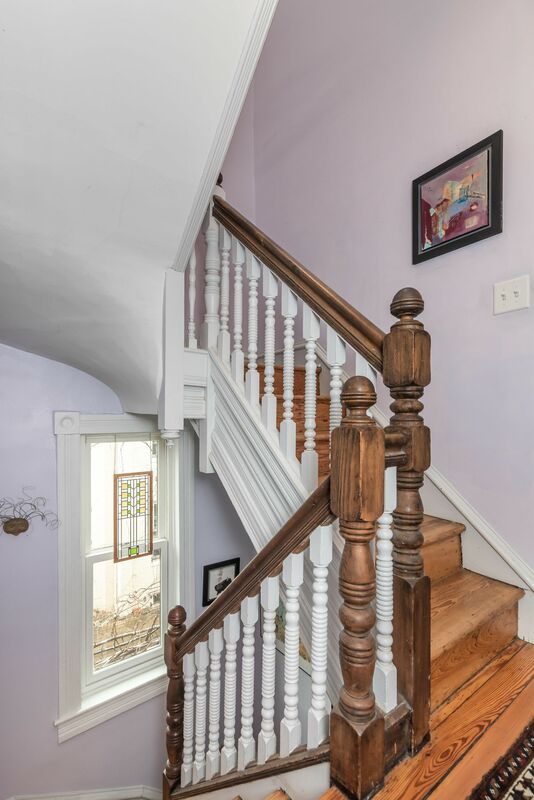 Move right into this wonderful light filled end of group home. 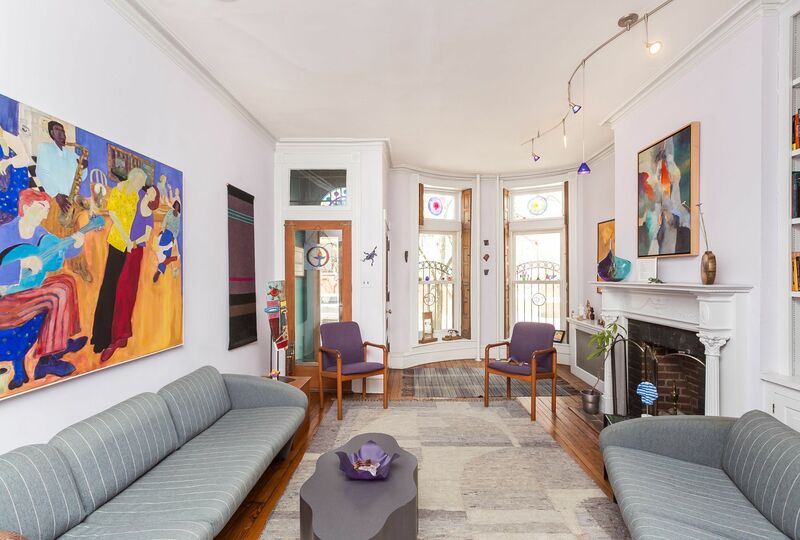 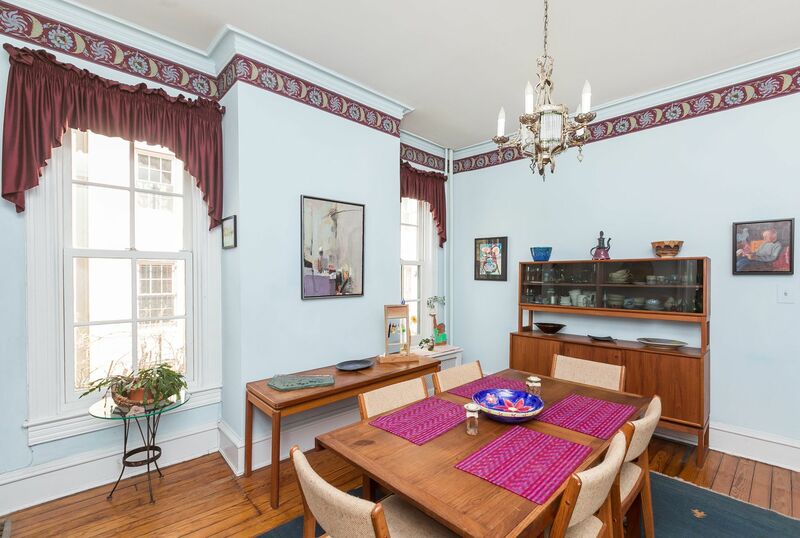 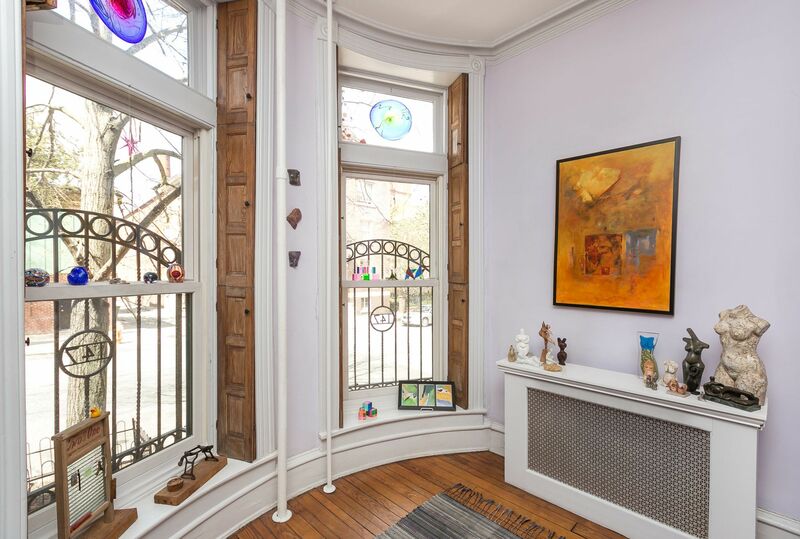 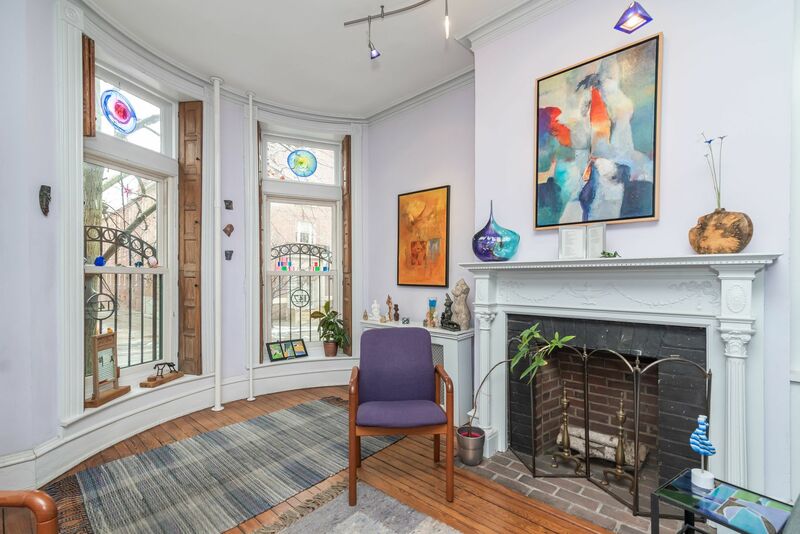 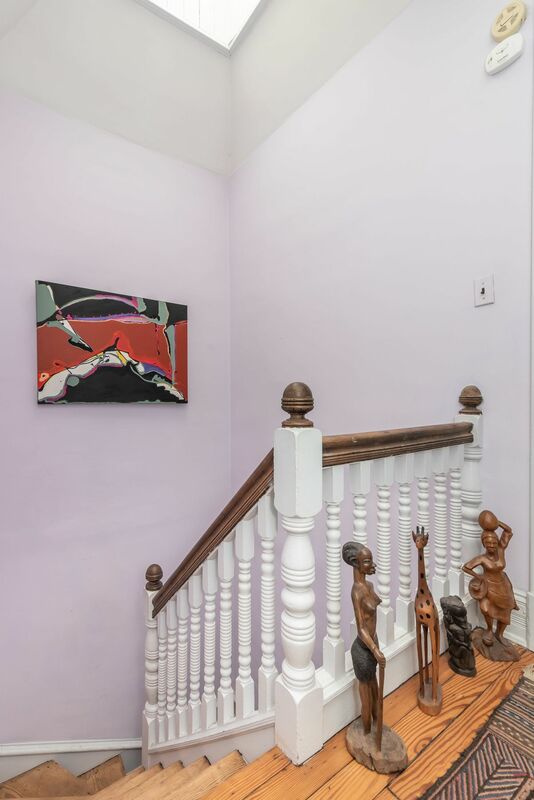 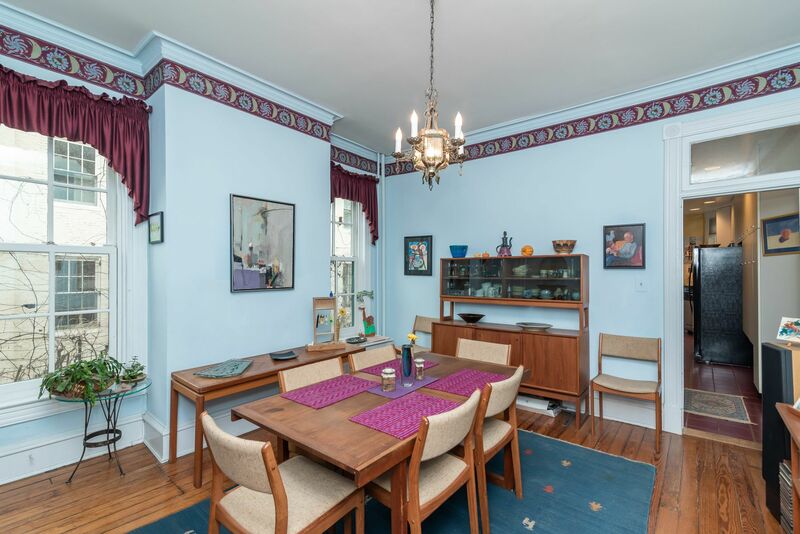 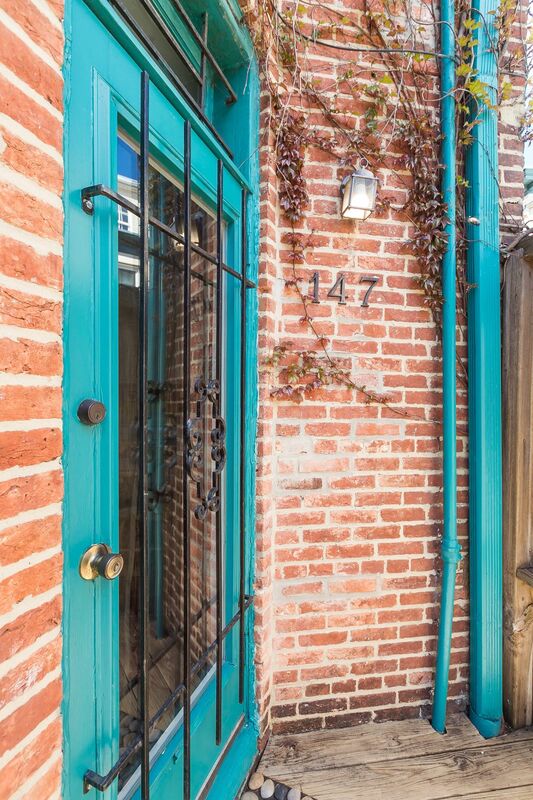 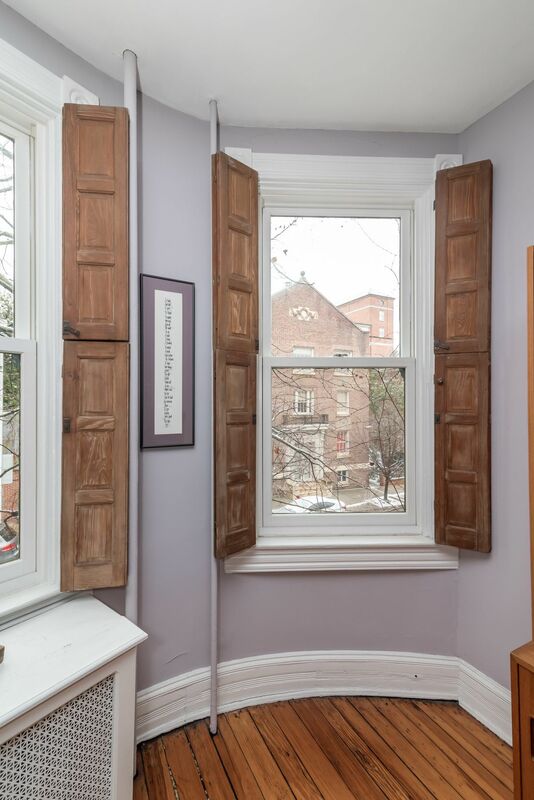 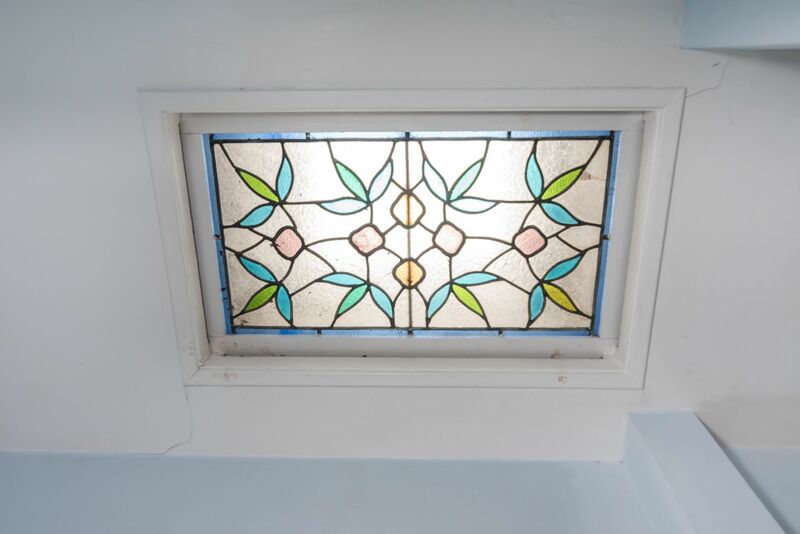 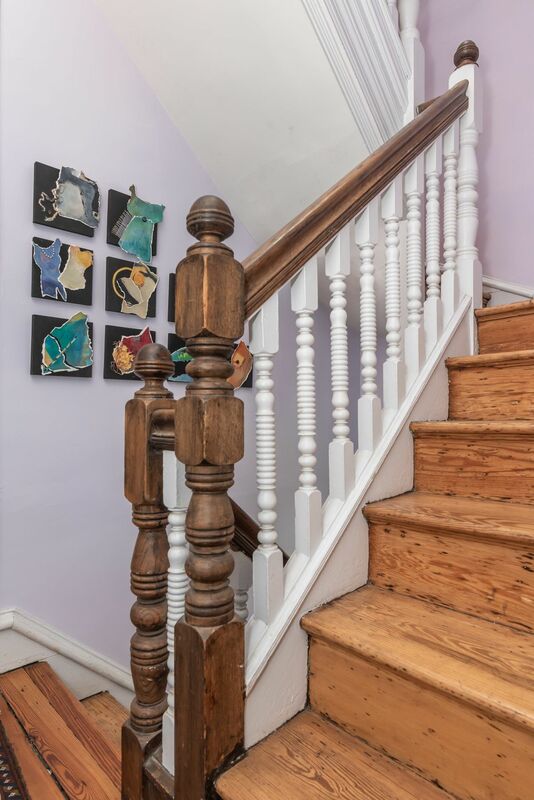 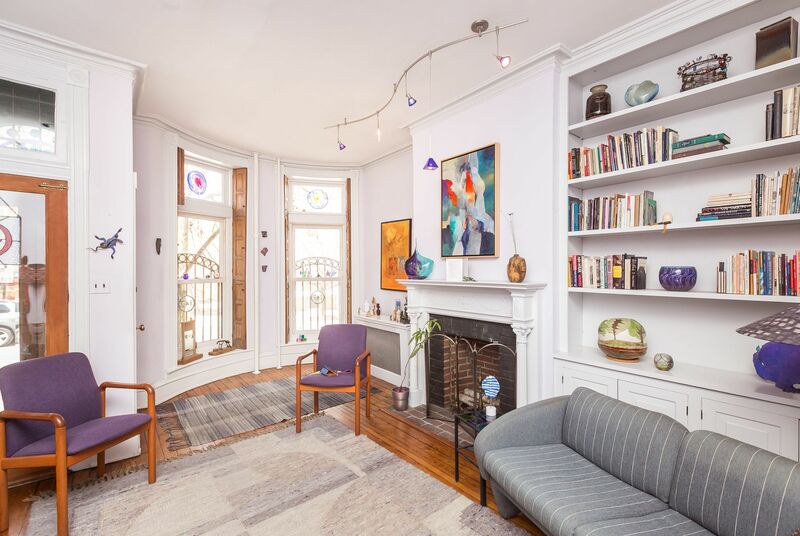 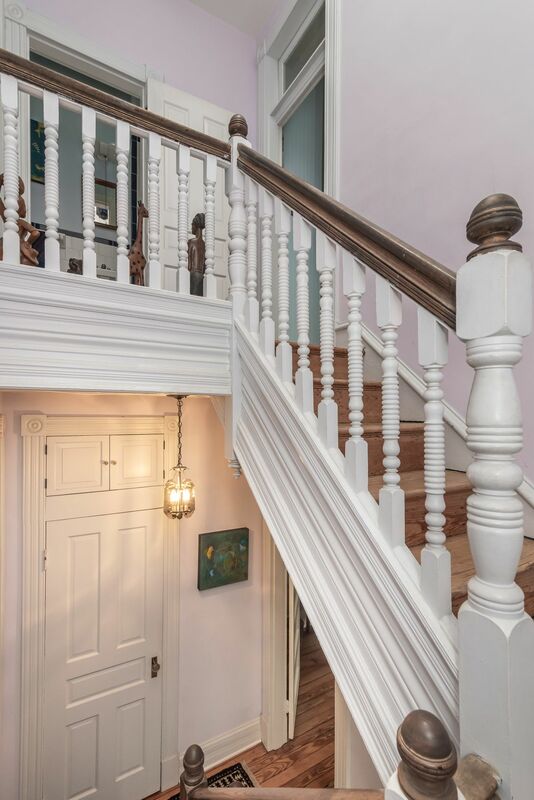 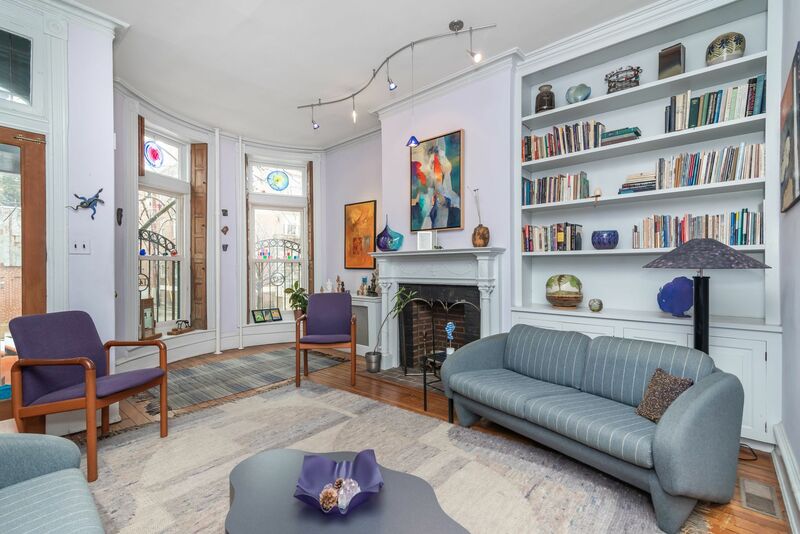 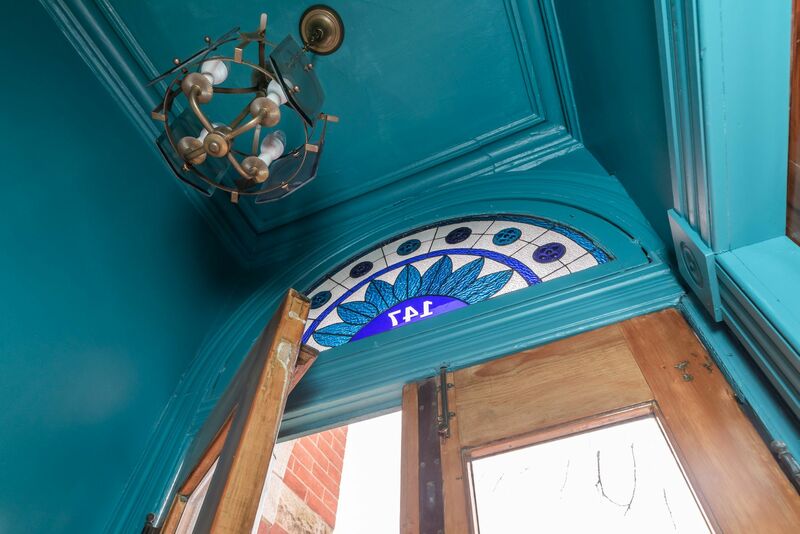 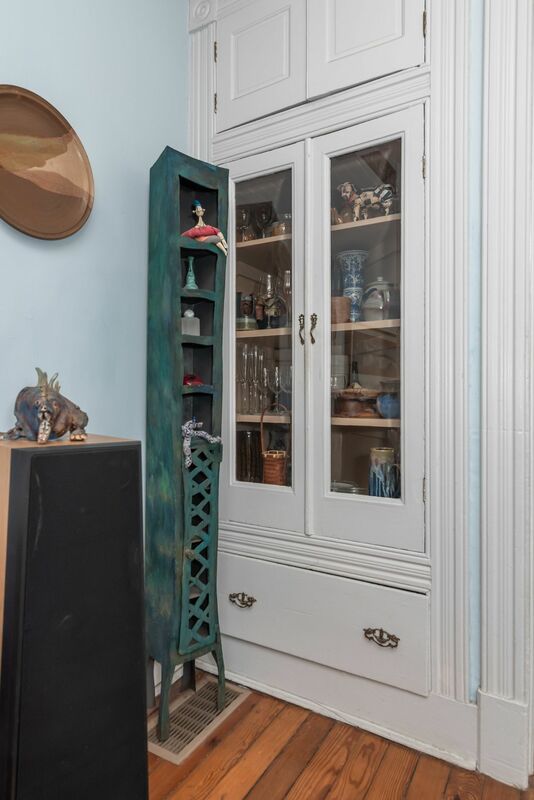 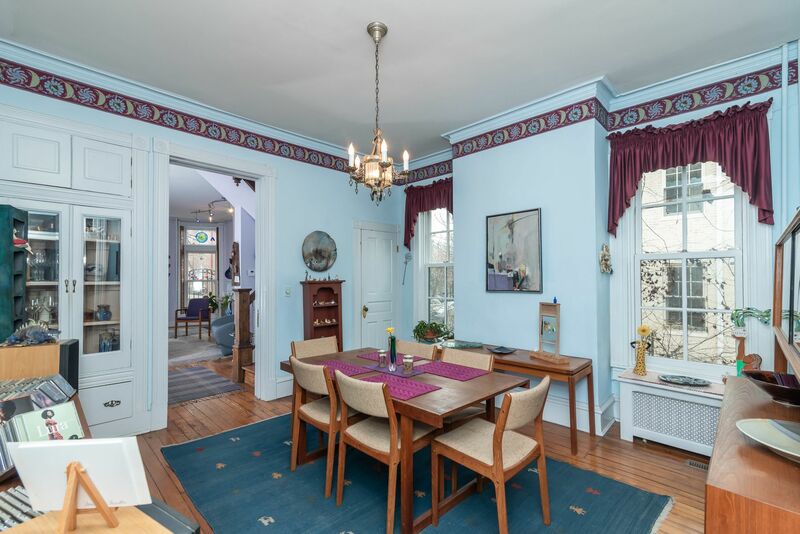 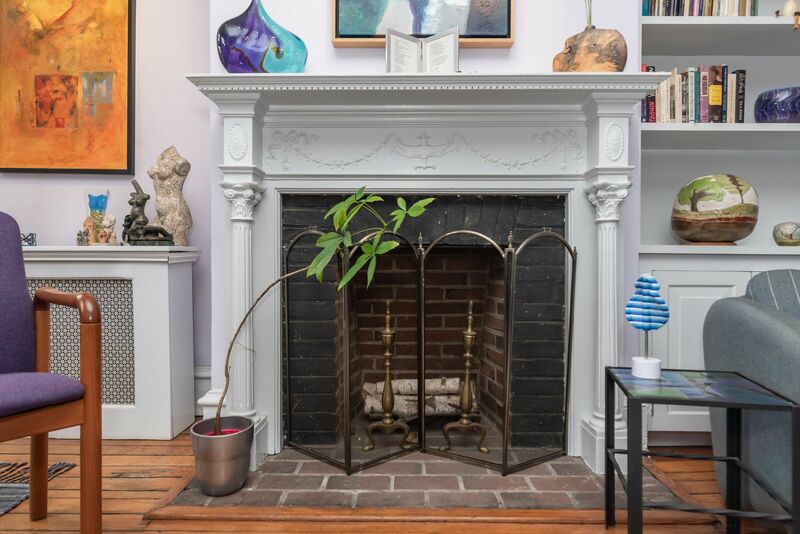 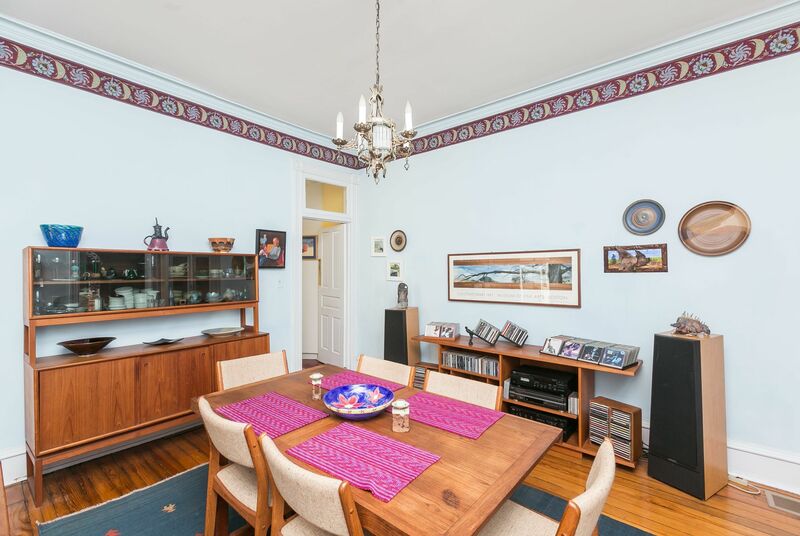 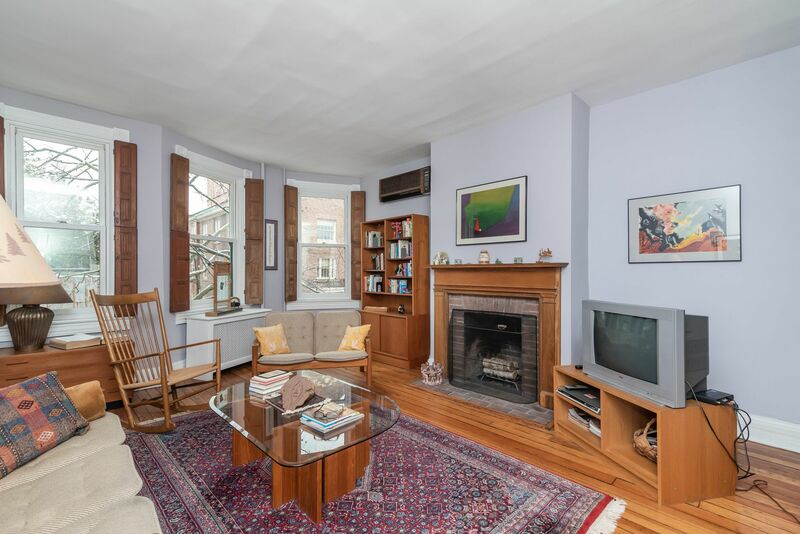 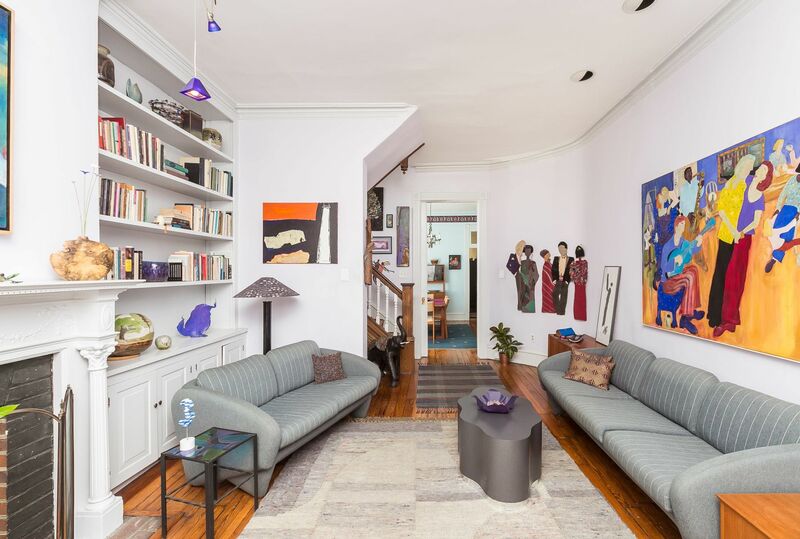 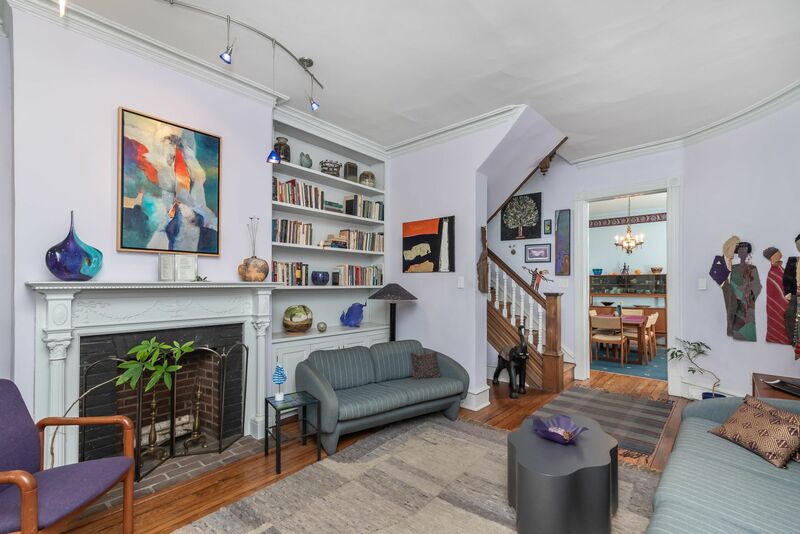 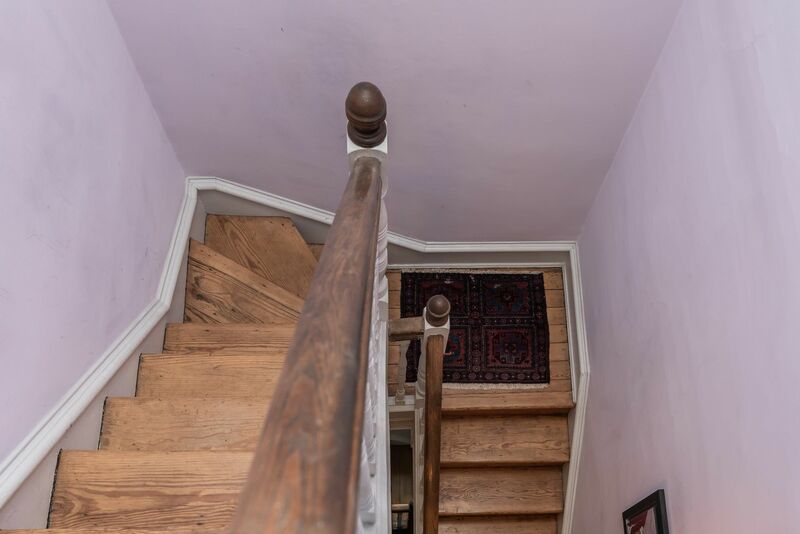 Quintessential original details including wooden shutters, decorative mantels, built-in cabinets, stained glass, wood floors, intricate staircase, rear servant staircase, skylight and more. 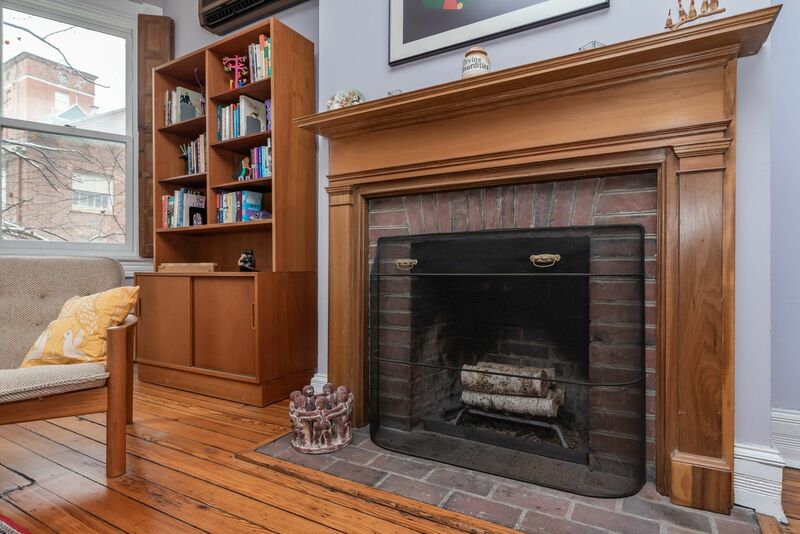 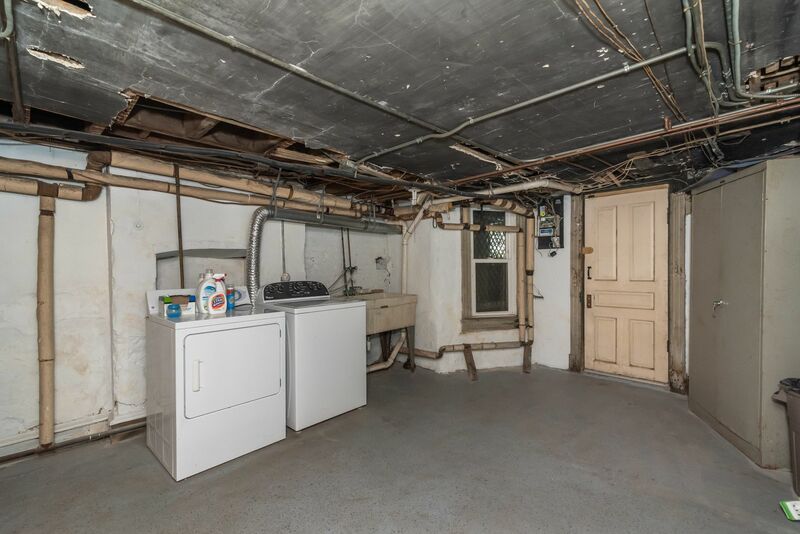 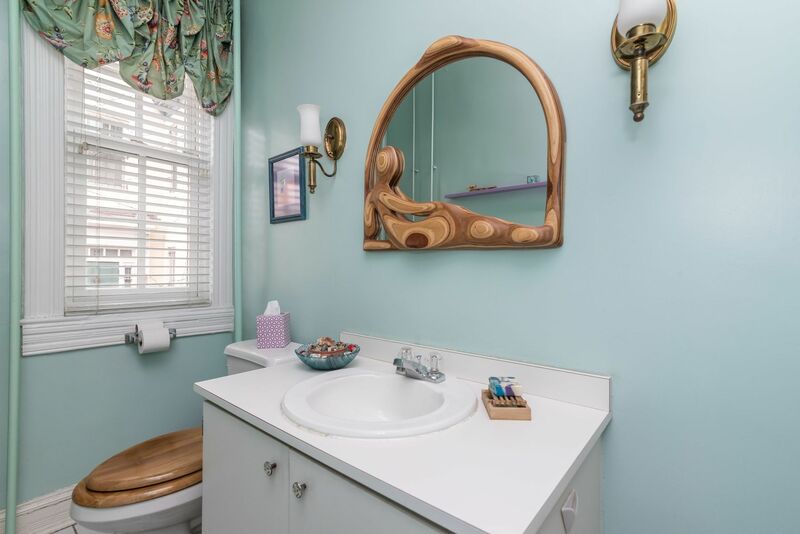 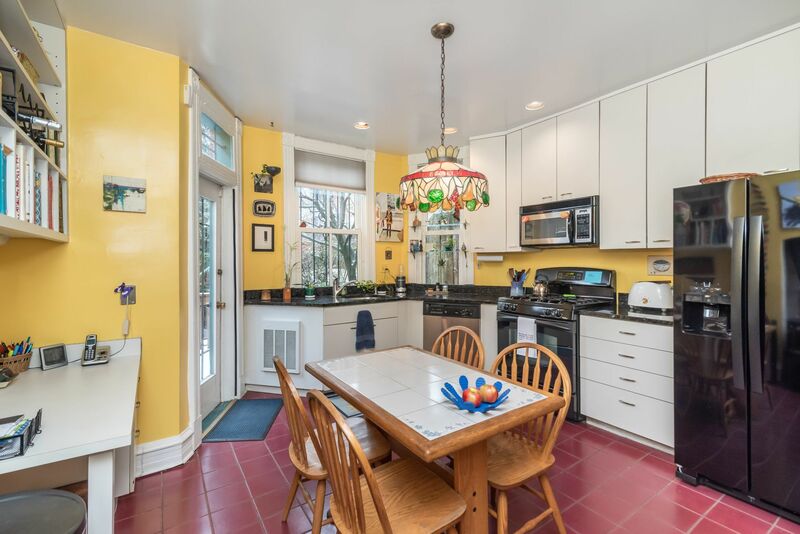 4 Bedrooms, 2.5 Baths including a main level powder room, lovely eat-in kitchen with ample cabinets, cozy wood stove and door with direct access to deck and brick patio. 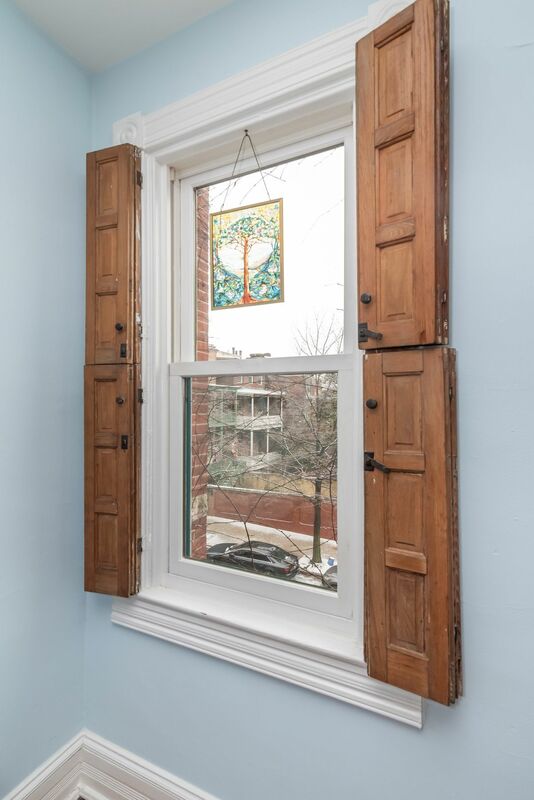 New wood windows. 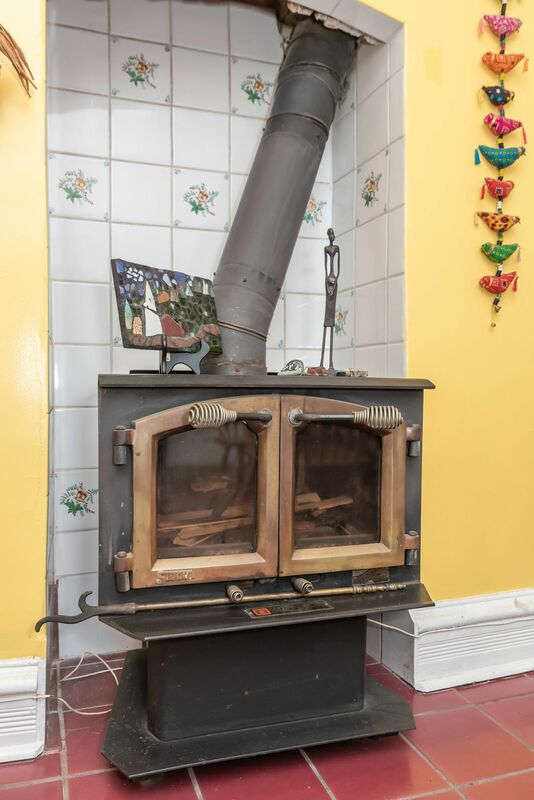 Gas Heat & Hot Water. 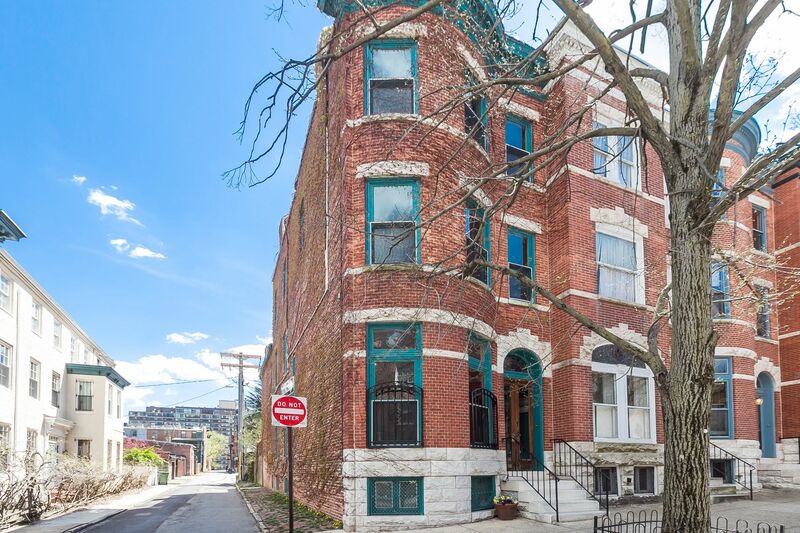 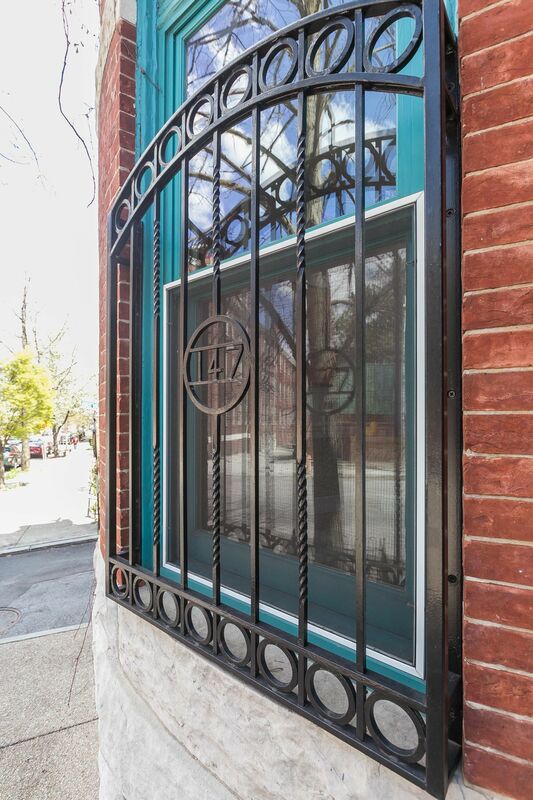 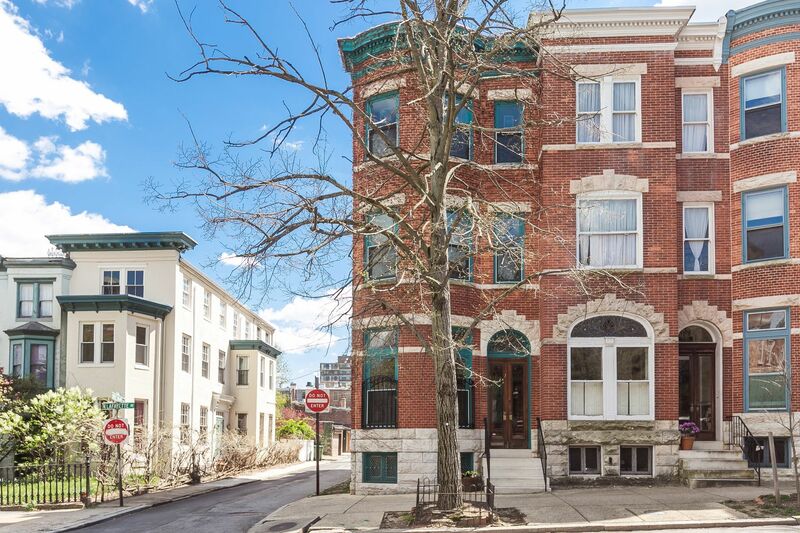 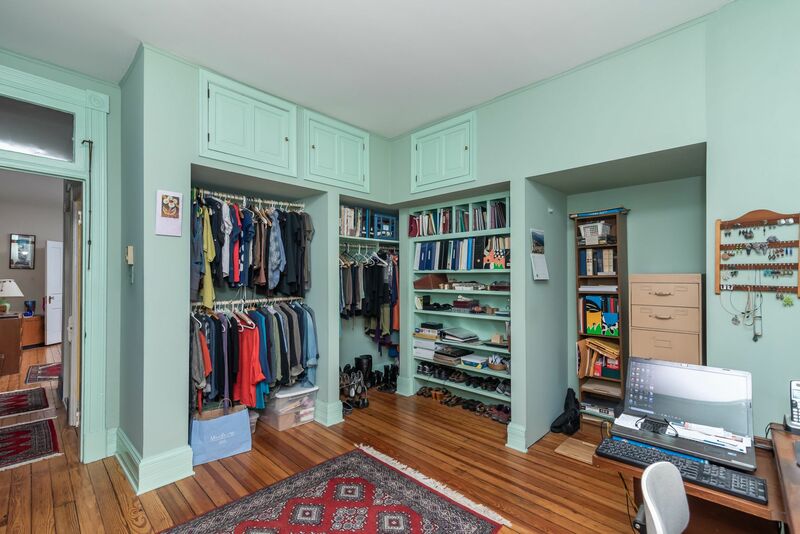 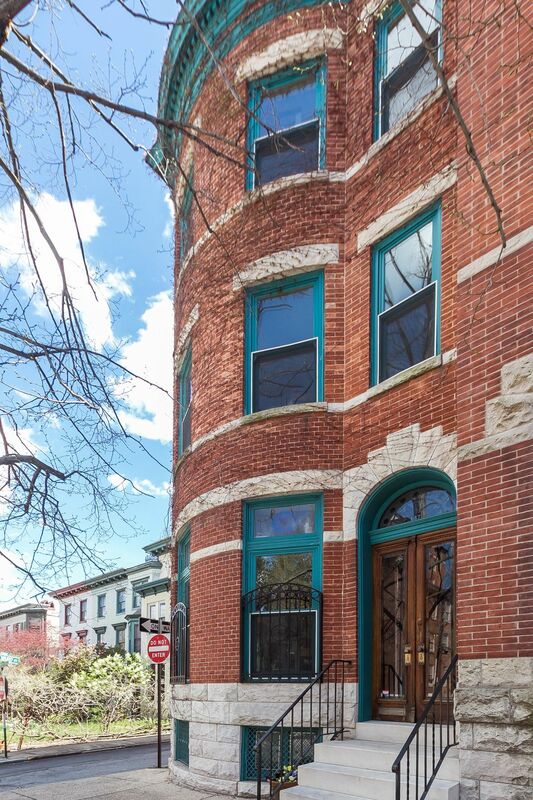 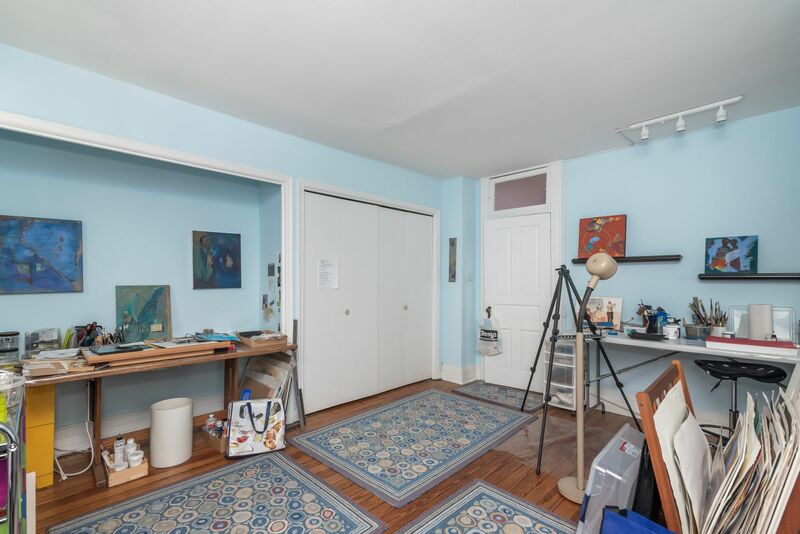 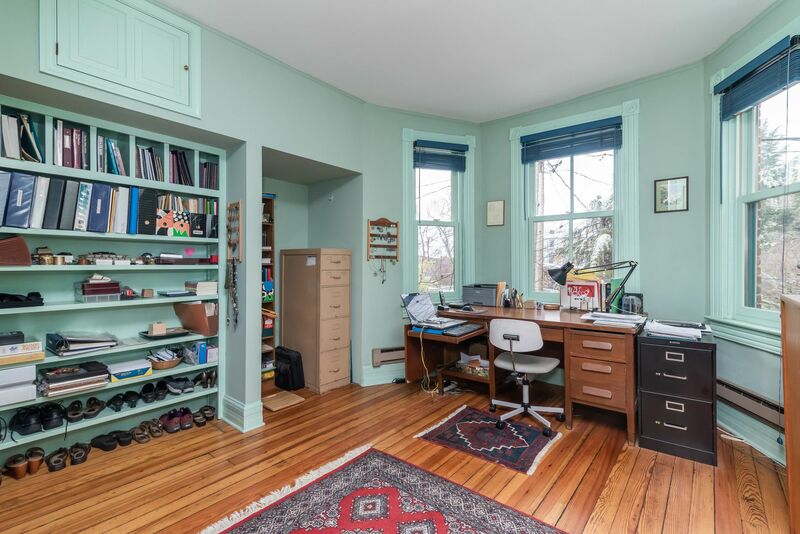 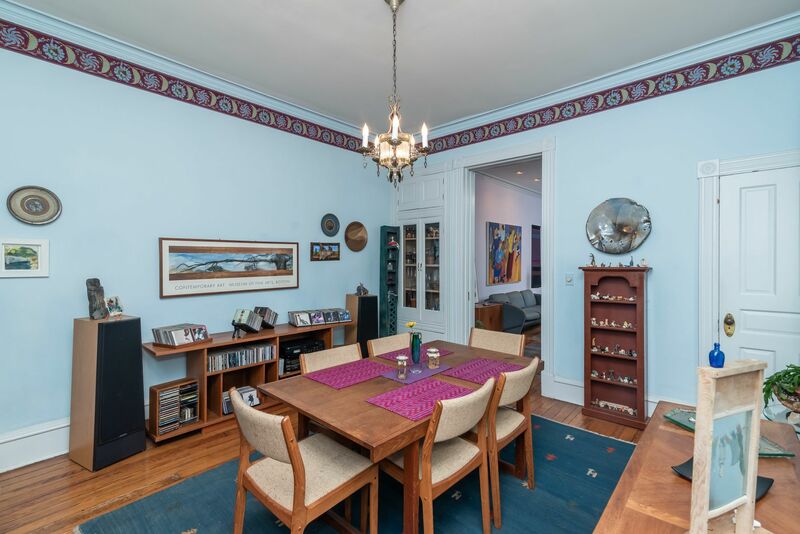 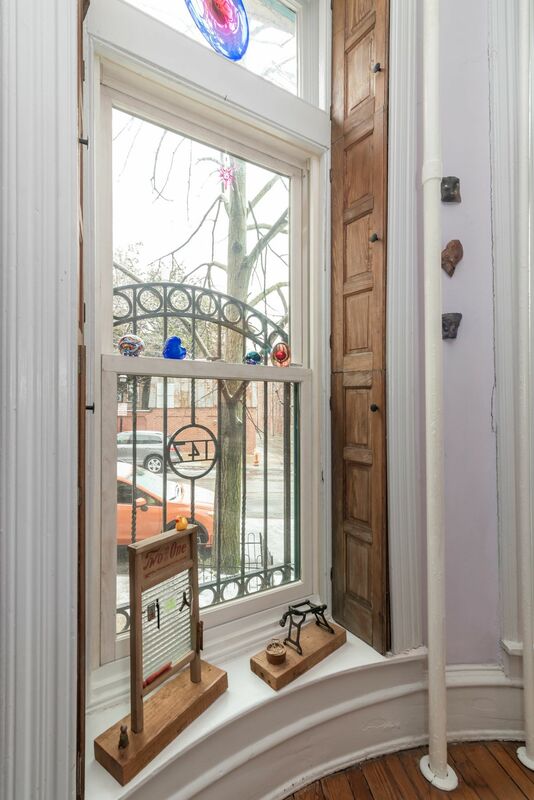 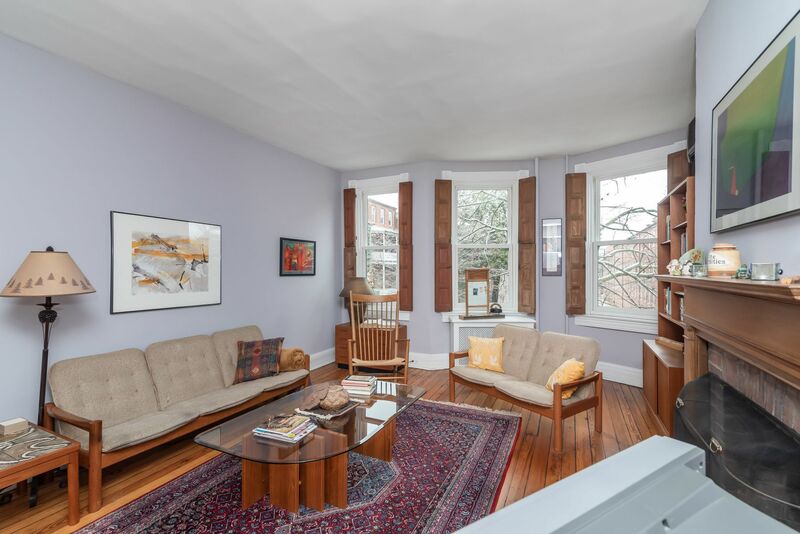 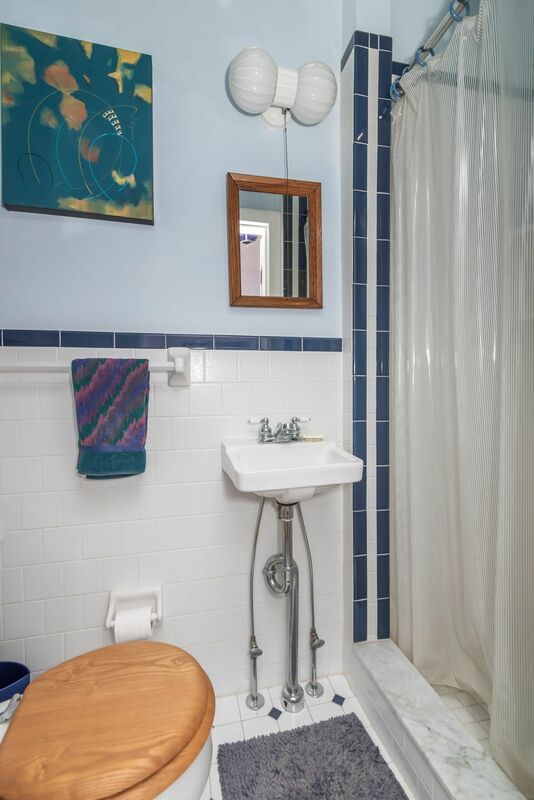 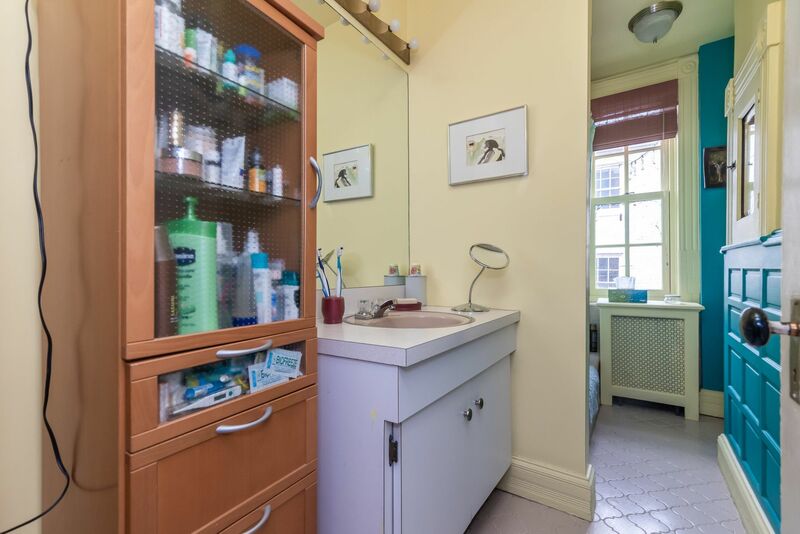 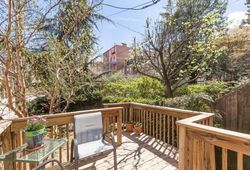 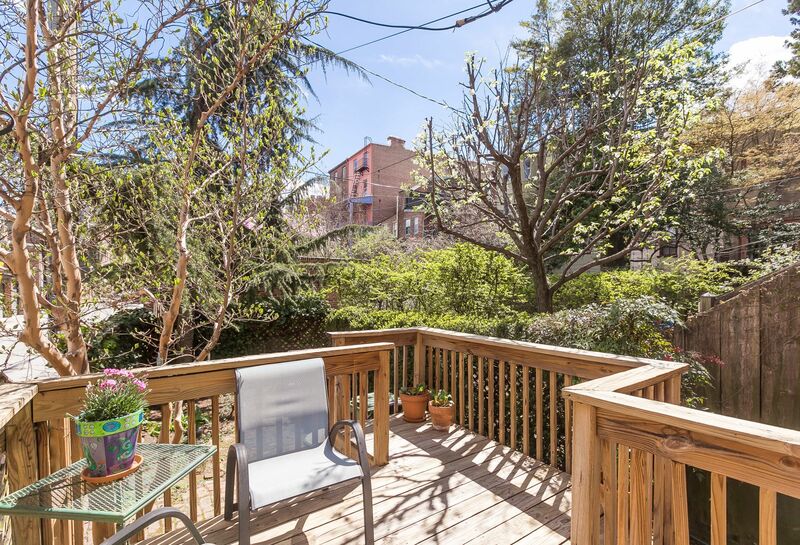 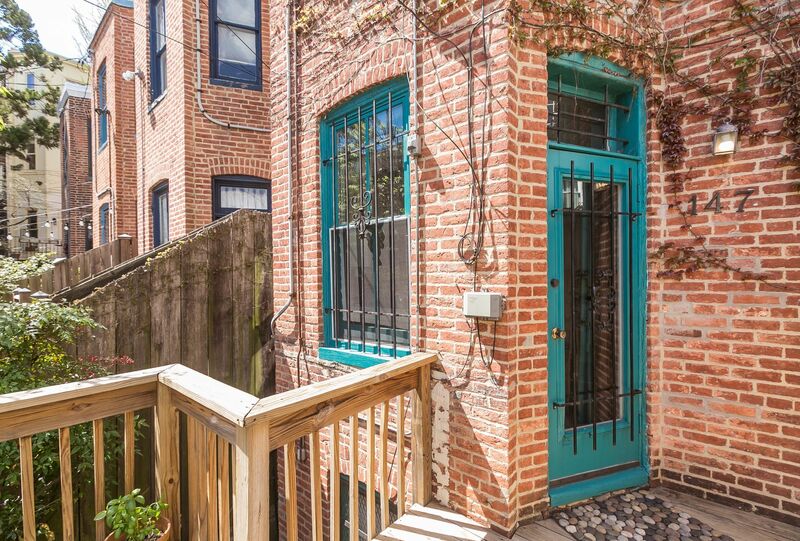 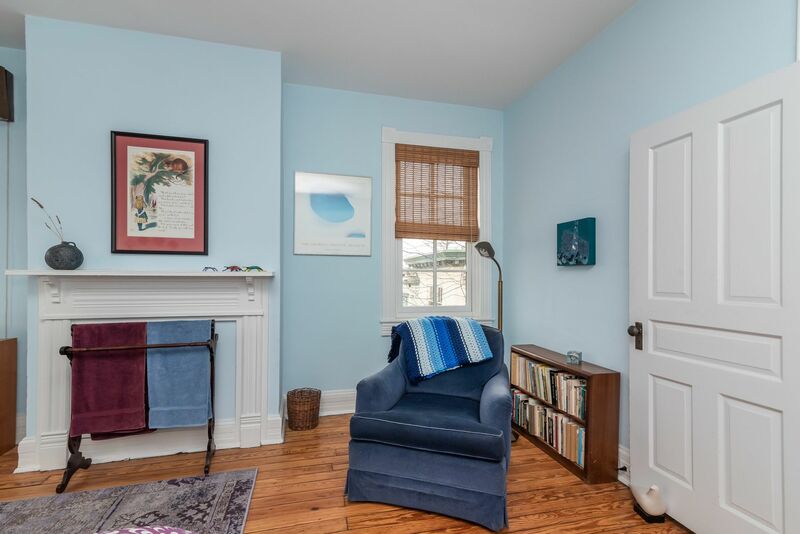 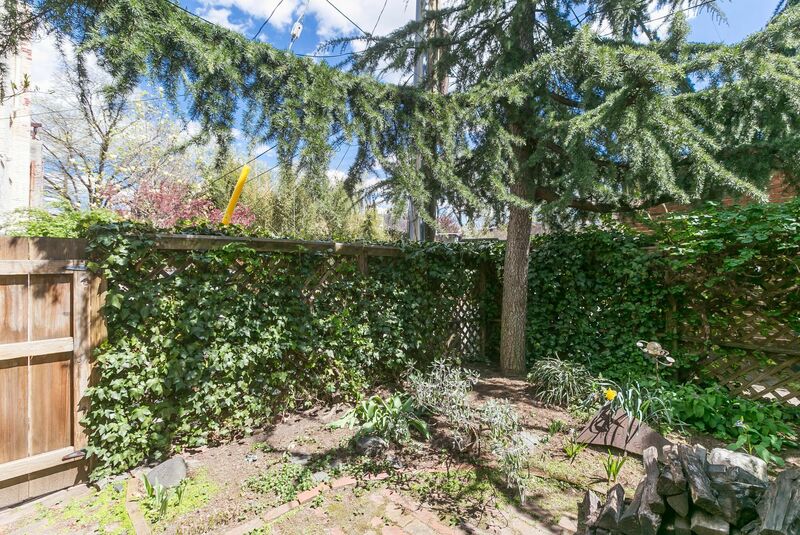 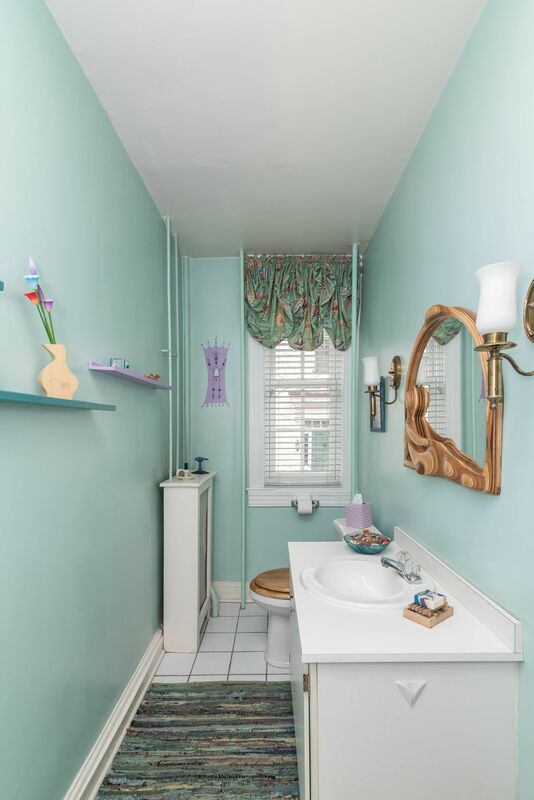 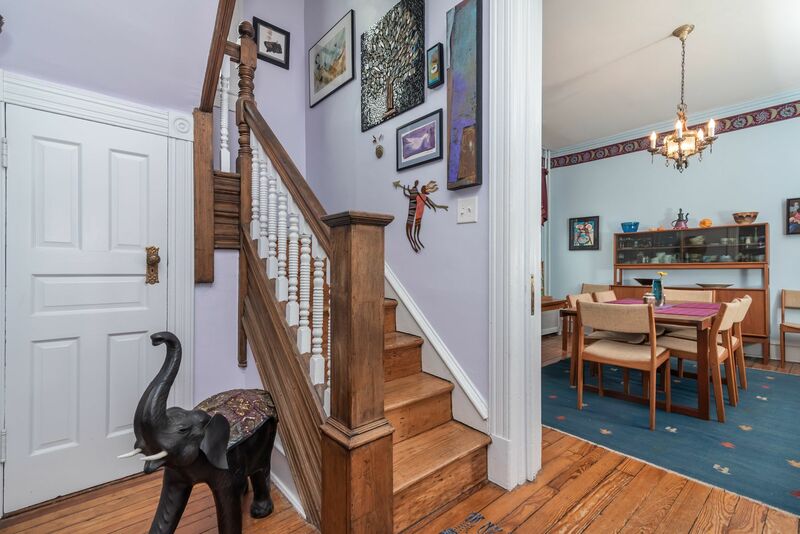 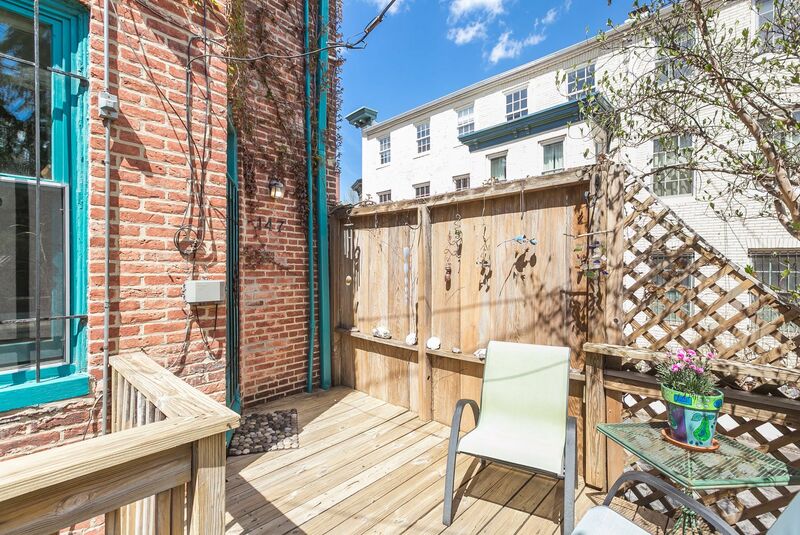 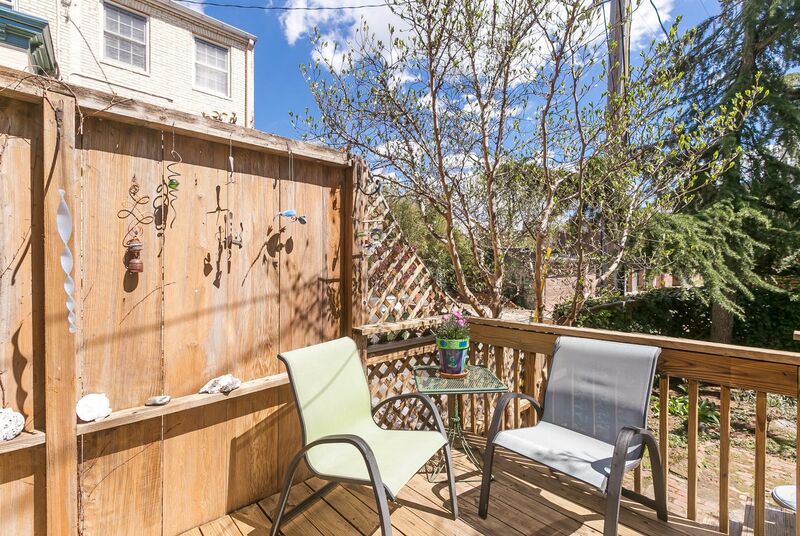 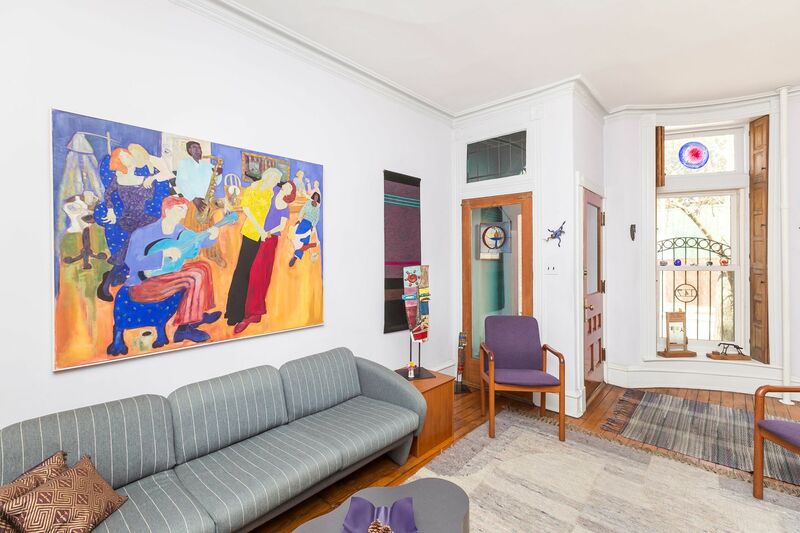 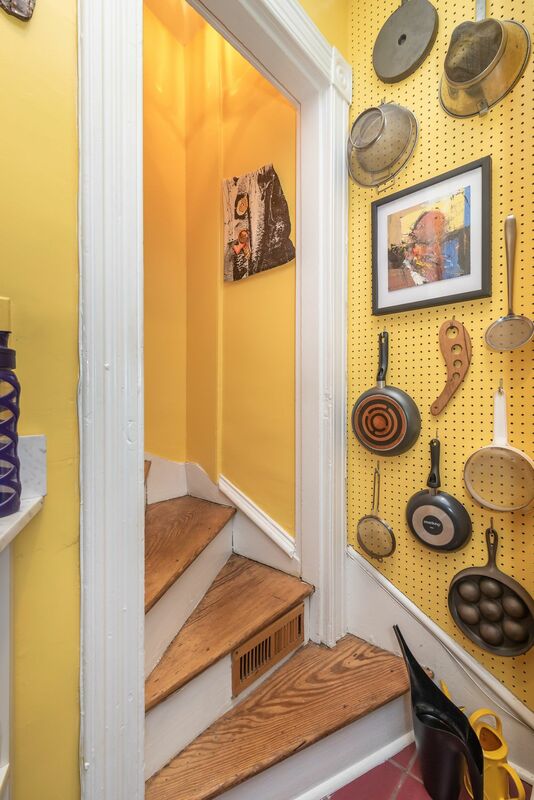 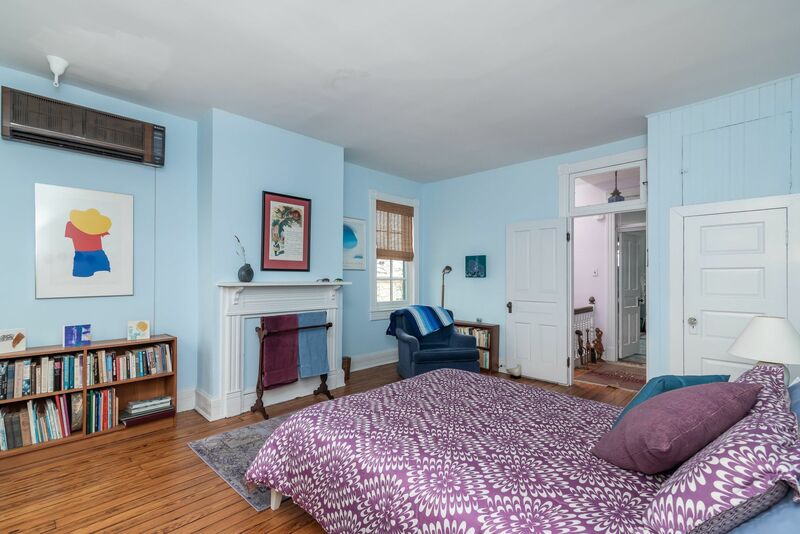 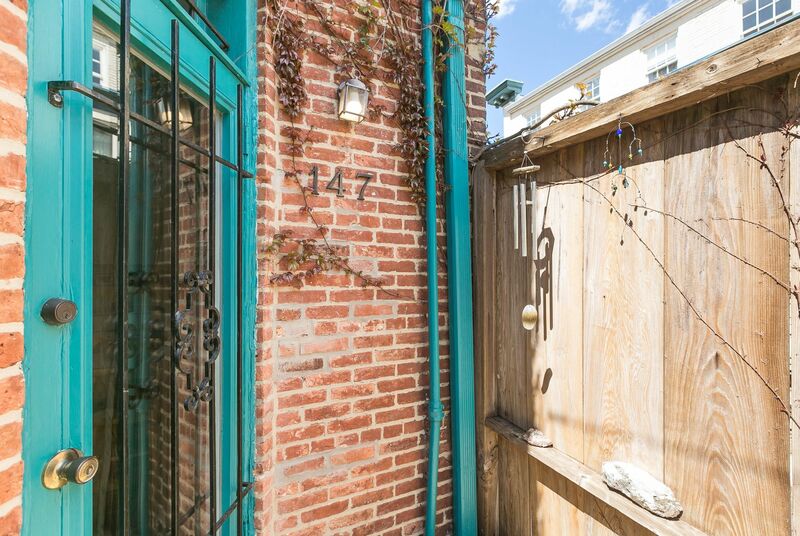 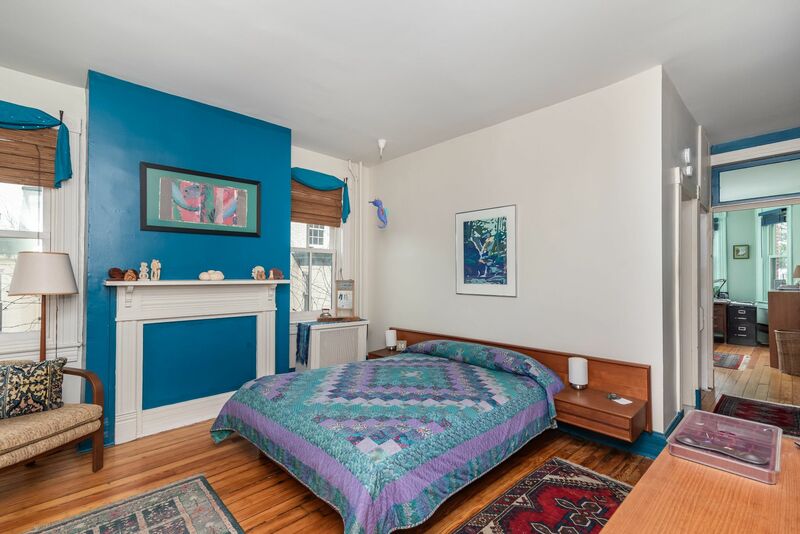 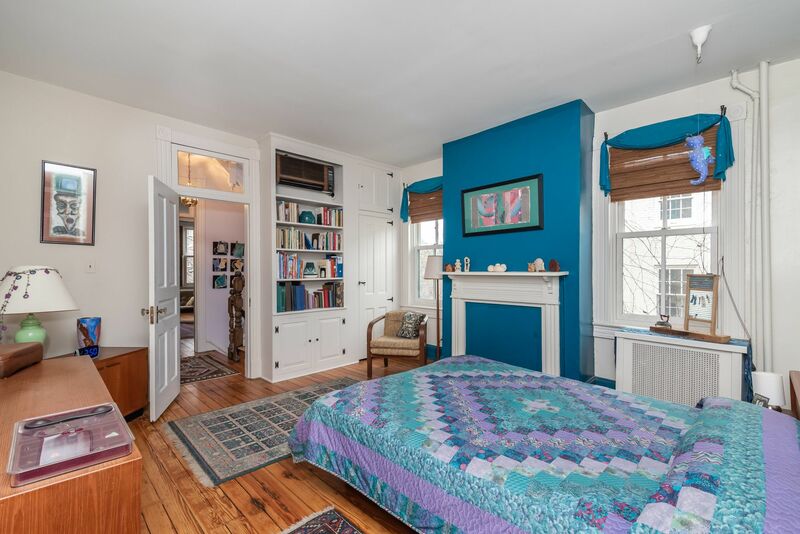 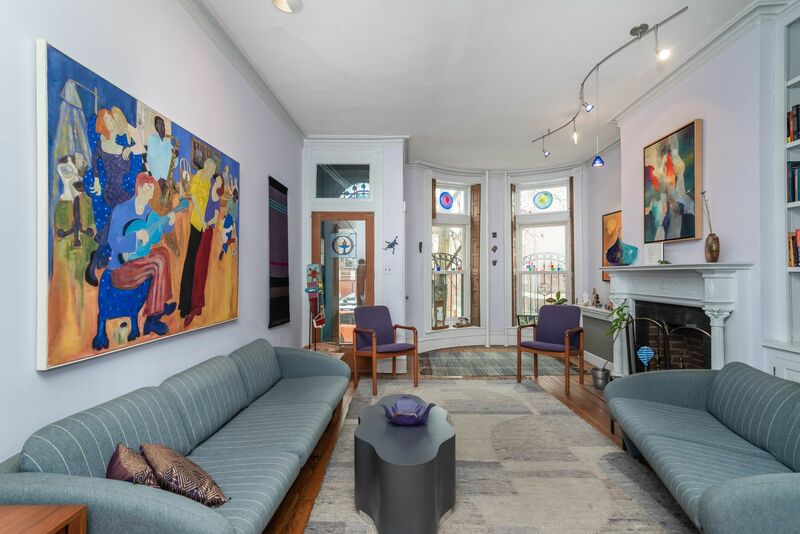 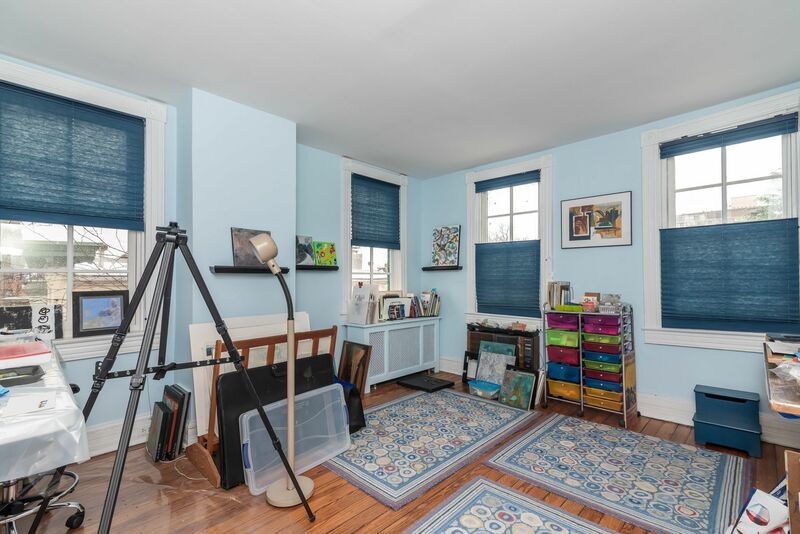 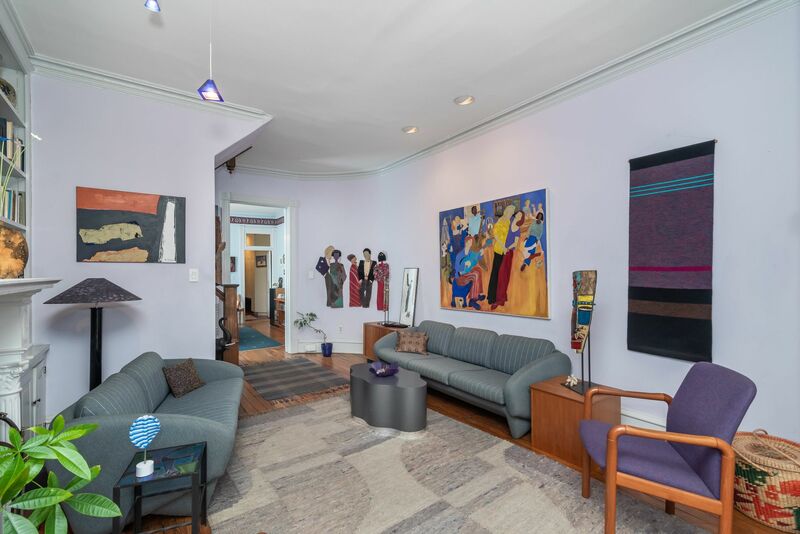 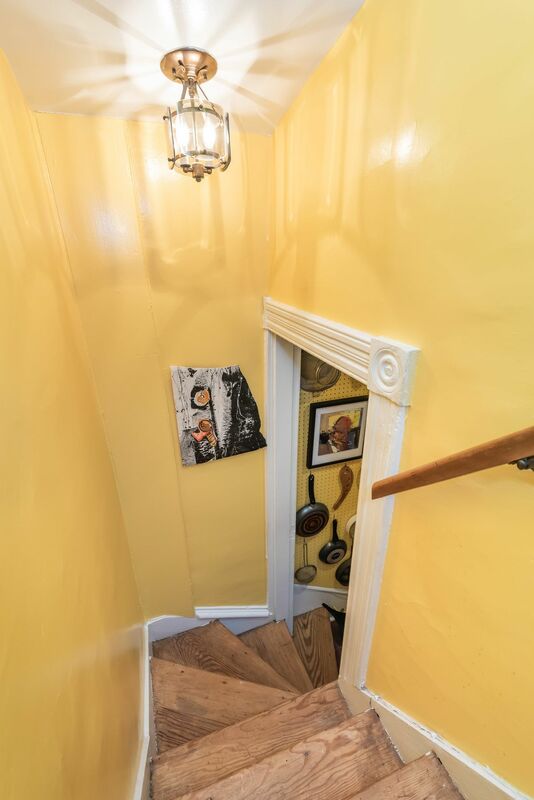 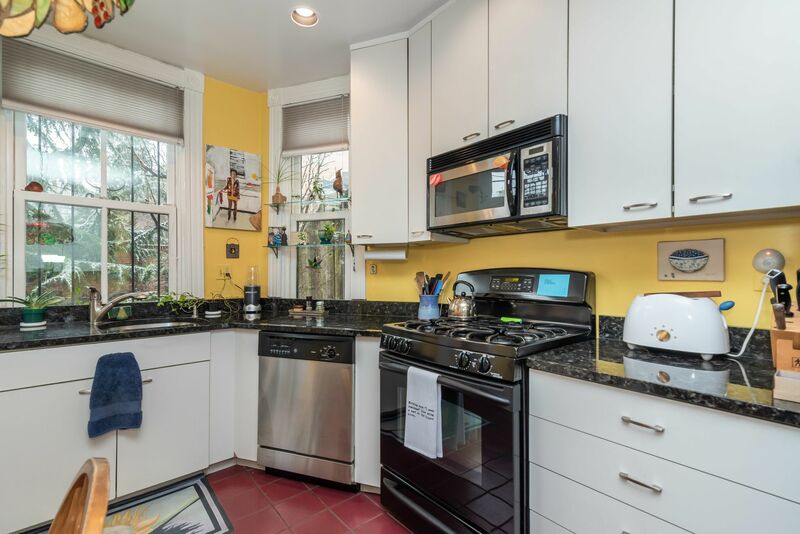 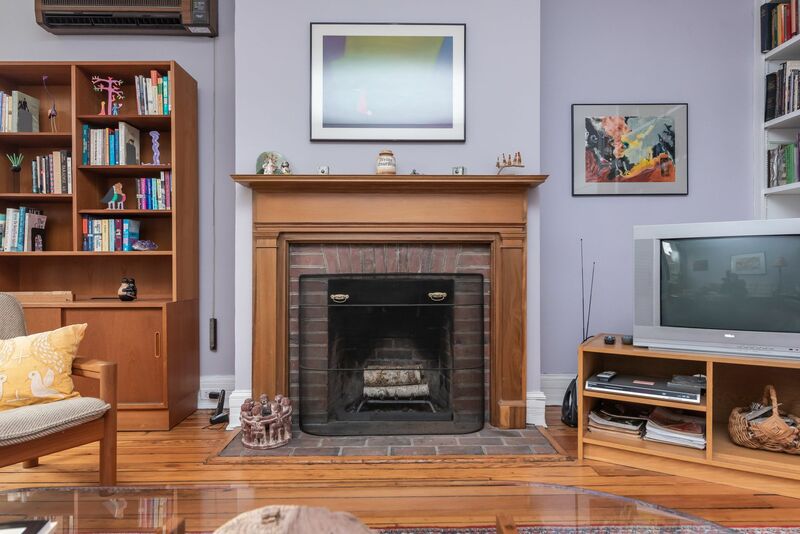 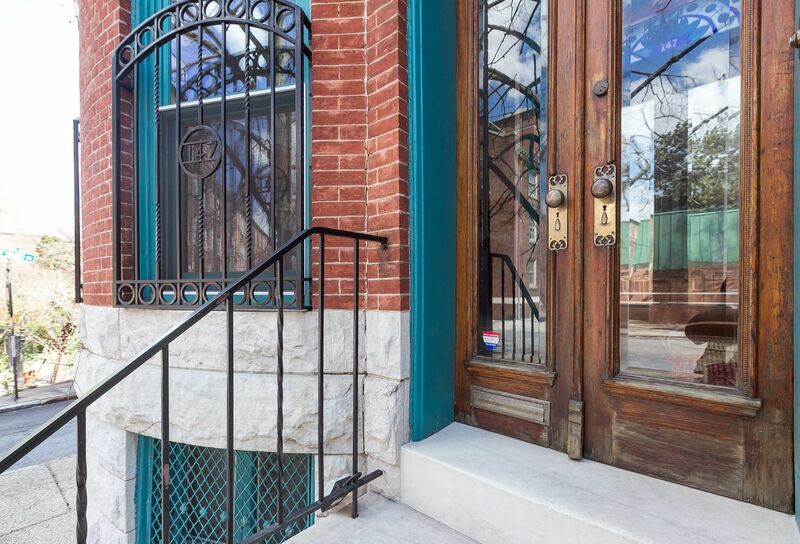 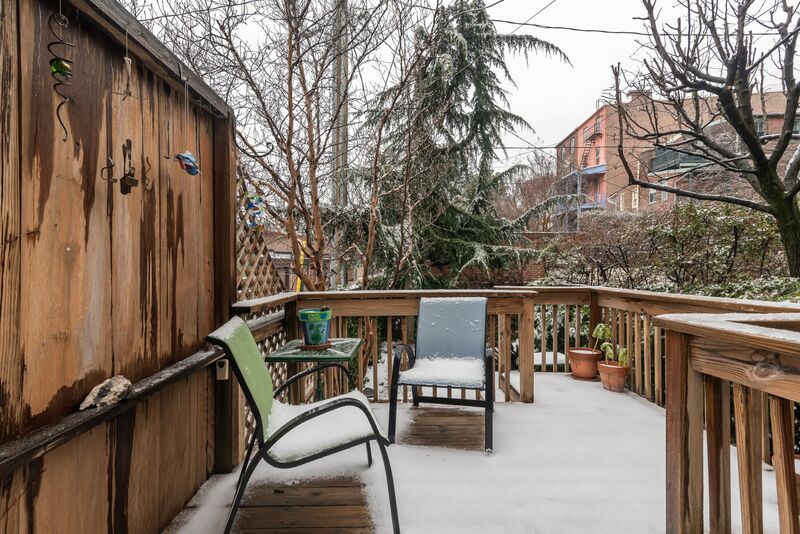 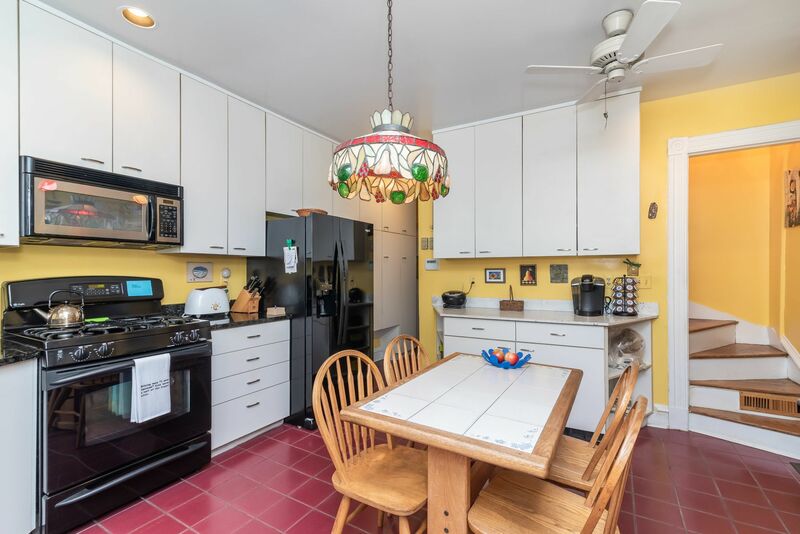 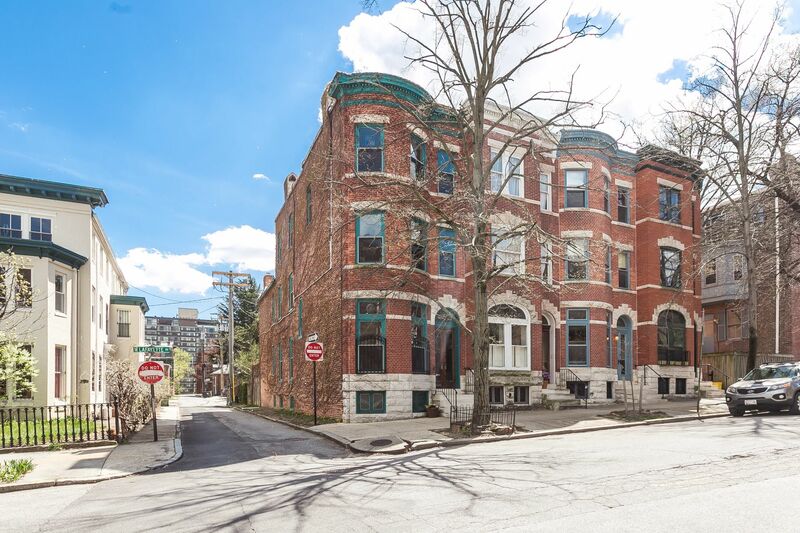 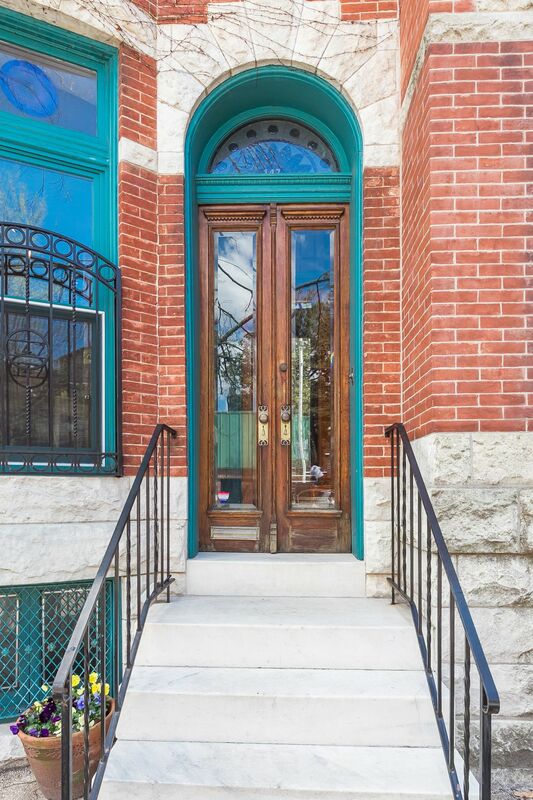 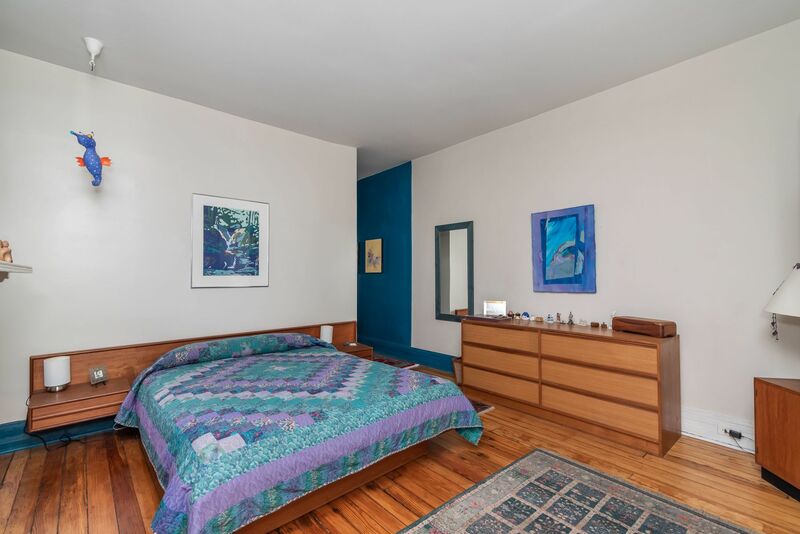 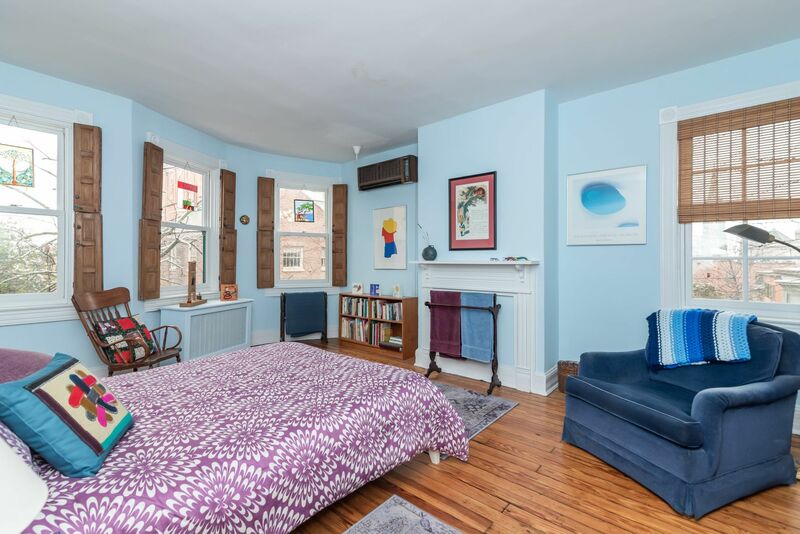 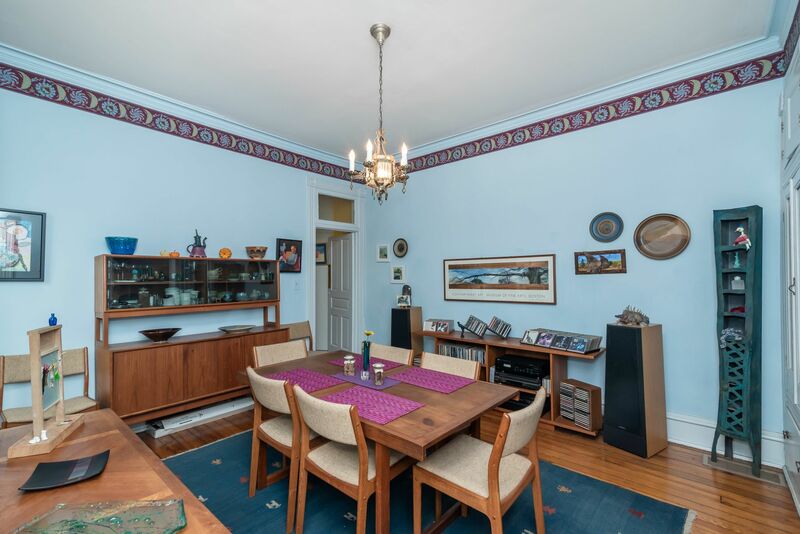 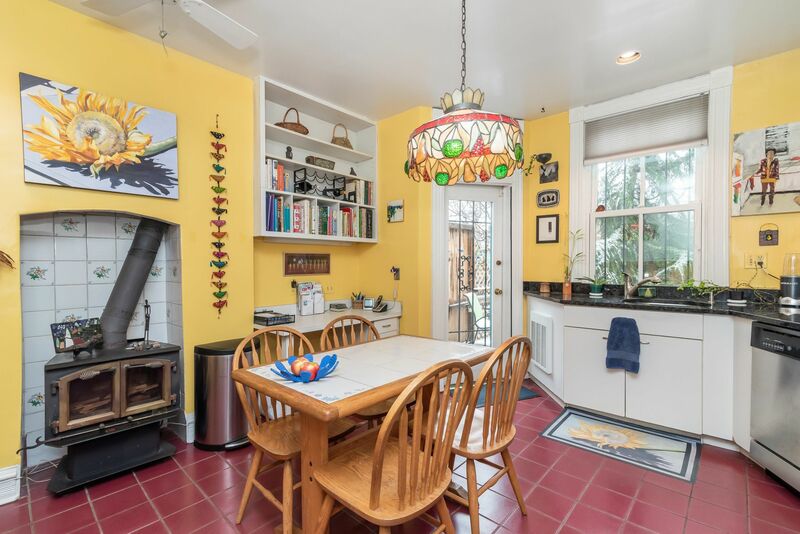 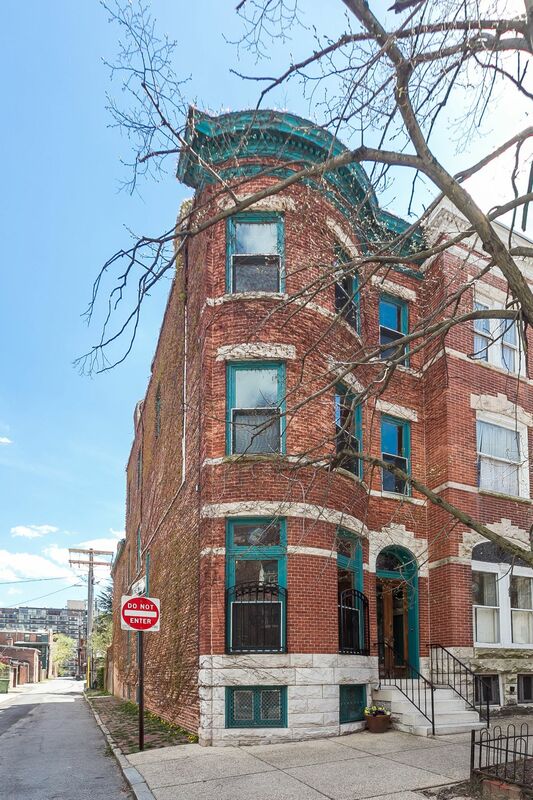 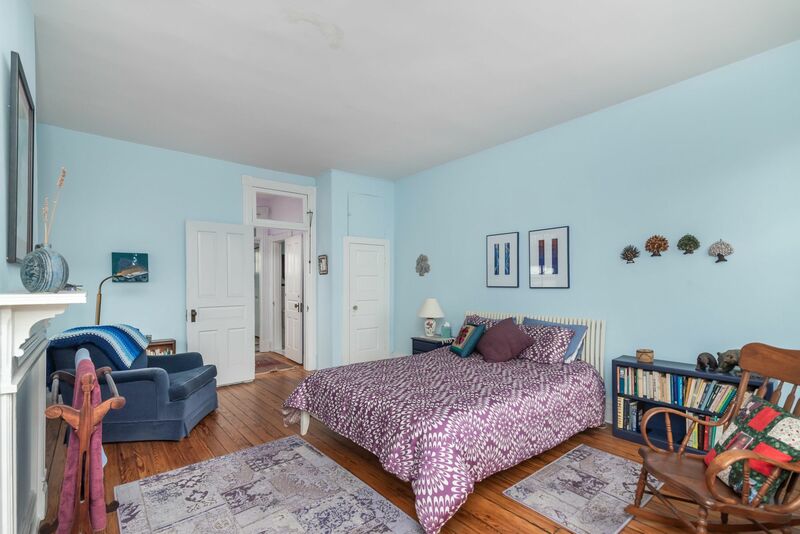 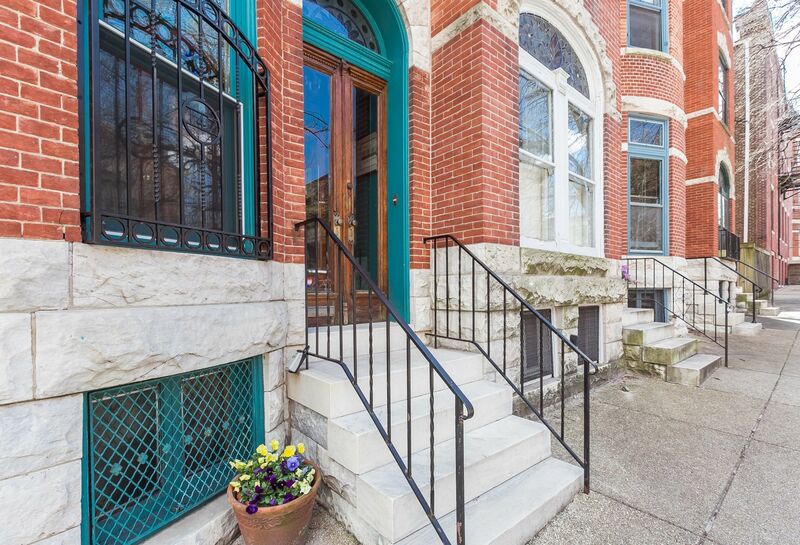 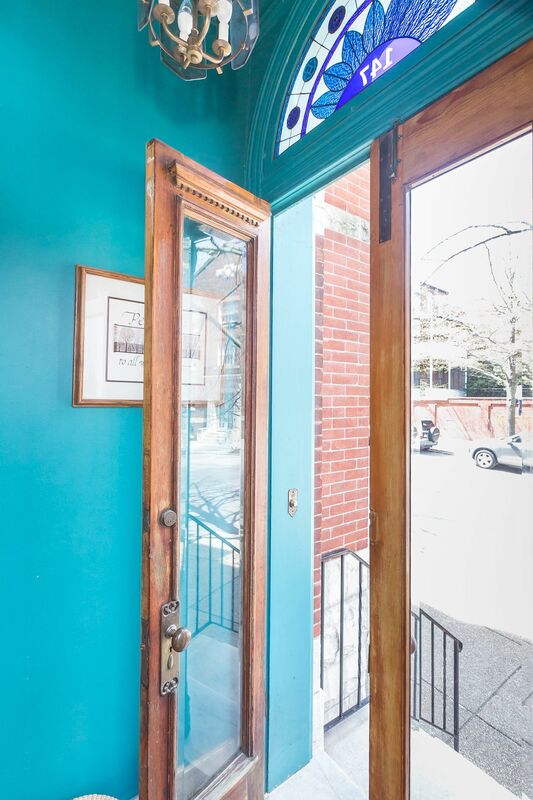 Ideally located near Penn Station, Light Rail, Hopkins Shuttle, Subway, MICA, U of Baltimore, Cafes, Bolton Hill Swim and Tennis Club, Bolton Hill Nursery School, Mt. 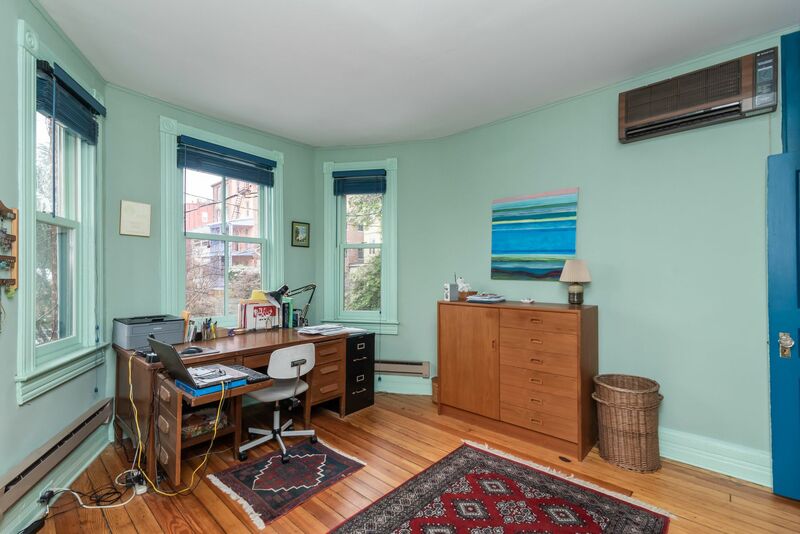 Royal Elementary School and Midtown Academy. Restaurants. 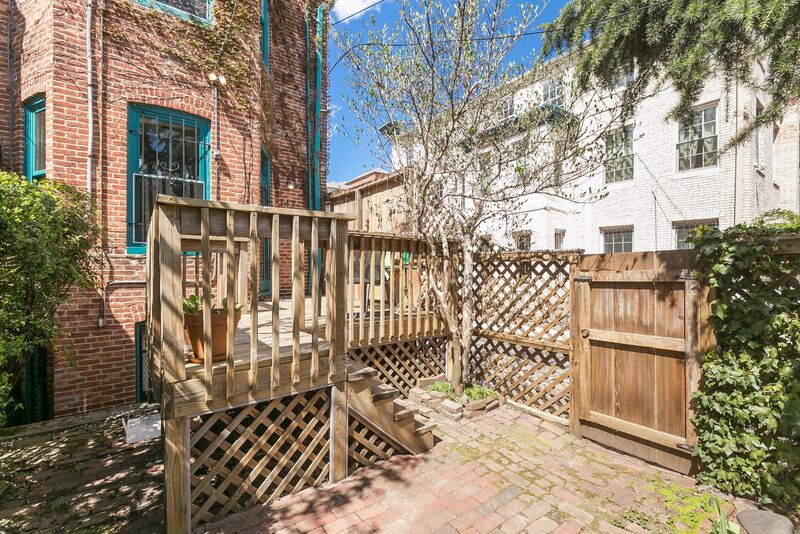 Ample on-street parking. Subject to Midtown Special Benefits District Surcharge Tax.